Coatesville School District Homes for Sale. See All Homes Now! Nestled in rural western Chester County, Coatesville Area School District features a strong curriculum and award-winning extra-curricular activities. Many homes within the district are budget-friendly and offer big backyards with beautiful views of Chester County! The high school’s strong athletic department has led to numerous regional, state and national titles! The 2006 Cross Country team won the national championship, and the school has also won the state basketball title. Coatesville Area School District prides itself on supporting the total well-being of its students. Recently, all Coatesville Area School District teachers participated in a Youth Mental Health First Aid training. The training is designed to assist faculty in identifying and assisting with a child experiencing a mental health challenge, addiction, or other crisis. Elementary school students in Coatesville Area School District enjoy special programming through Foss, an active-learning science program. This award-winning program offers students the chance to partake in “hands on” activities designed to introduce them to science, technology, engineering and mathematics (STEM). Looking for a school district with a rigorous, high-quality curriculum? 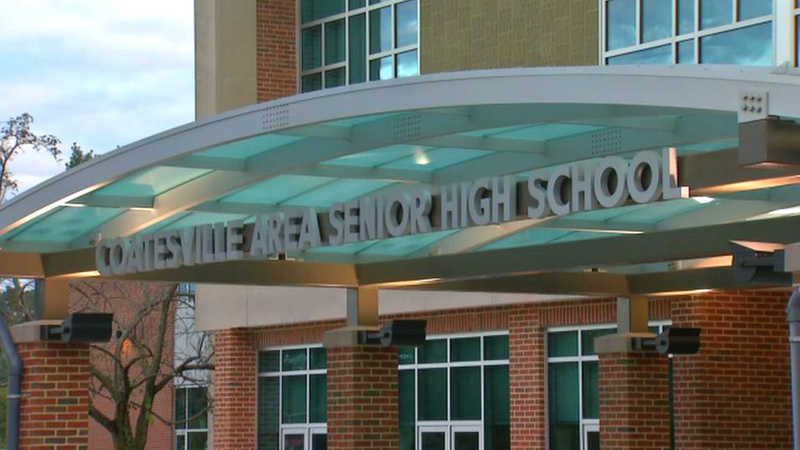 Coatesville Area High School offers sixteen Advanced Placement (AP) courses, which allows students the opportunity to earn college credit while still enrolled in high school. Coatesville Area School District operates ten schools including Rainbow Elementary School, Reeceville Elementary School, King’s Highway Elementary School, Friendship Elementary School, East Fallowfield Elementary School, Caln Elementary School, South Brandywine Middle School, North Brandywine Middle School, Scott Middle School, and Coatesville Area High School. Homes in Coatesville Area School District tend to be priced lower than the Chester County average. The majority of homes for sale are single-family homes between $150,000 and $250,000, and the most popular home styles include ranches, Cape Cods, and bi-levels. For the most budget-friendly homes, be sure to check out Coatesville City, where there are an abundance of twin and townhomes. There tends to be a mix of both move-in ready affordable homes, and investor-friendly “diamonds in the rough” that could update and flip or rent. New construction tends to be readily available in Coatesville School District. Friendly subdivisions with single-family three and four bedroom homes tend to be the most popular, and are most commonly priced between $250,000 and $350,000. Unlike suburbs closer to Philadelphia, these affordable homes are often located on generously-sized lots – typically over half of an acre! Luxury new construction is also available and priced accordingly. Interested in a peaceful Chester County farm home? You’ll find it in Coatesville School District! The area is home to many historic farm properties with beautifully maintained country-style stone homes. While these special properties don’t hit the market often, they are highly desirable!